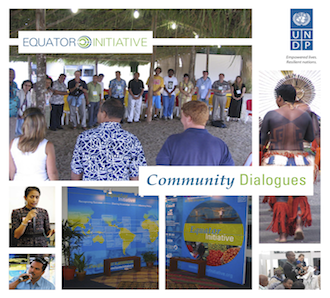 The Community Aldeia brings together the winners of the Equator Prize 2012, other civil society leaders, and the Equator Initiative partnership in a ten-day dialogue on the margins of Rio+20. Join us to see what sustainable development looks like on the ground: explore the true meaning of development and the means to sustainability. Hear about what we've achieved, the future we need, and the steps it will take us to get there. A week into the Community Aldeia, Equator Prize winners split into self-chosen thematic working groups to reflect on lessons learned over the course of the dialogue to date, and to discuss proposals for actions to collectively strengthen their work going forward. Groups focusing on medicinal plants, water access and public policy, food security and women’s empowerment, and biodiversity conservation emphasized the importance of developing networks for sharing experiences between prize winners and like-minded local communities, sustaining the beneficial relationships forged during the Aldeia. 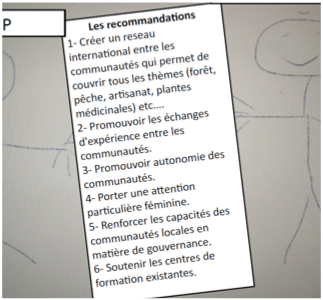 During the afternoon session, the participants drafted a selection of six recommendations for supporting local sustainable development. Presented by Salatou Sambou (Association des Pêcheurs de la Communauté Rurale de Mangagou- lack, Senegal) and Fatima Mustafa Ahmed (Zenab for Women in Development, Sudan), these mes- sages emphasize the need for network development and knowledge exchange, the promotion of strategies for women’s empowerment, and the strengthening of local governance structures, among other key areas for improvement (see below). For the English text, click here. During the afternoon session, the Aldeia hosted Olav Kjørven, Assistant Secretary-General and Director of the Bureau for Development Policy (UNDP). Mr. Kjørven (right) congratulated the prize winners on their achievements and talked about the role of UNDP in advancing local development. He closed by saying that the paradigm of growing our prosperity by pillaging our environment has to shift dramatically - we have to change mindsets, cultures, and policies. Local community groups are on the frontlines of this change; this work needs to be scaled up to the level of whole nations. The day opened with a brief presentation on the issue of Access and Benefit Sharing (ABS) and how it relates to local communities and their conservation of genetic diversity. 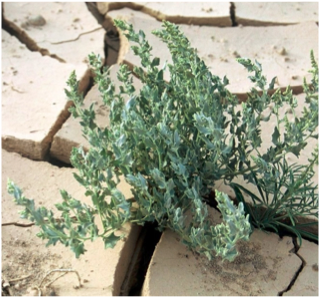 Suhel al-Janabi of GeoMedia described the evolution of negotiations on ABS since the creation of the Convention on Biological Diversity (CBD) at the first Rio Earth Summit, up until the adoption of the Nagoya Protocol in 2010. 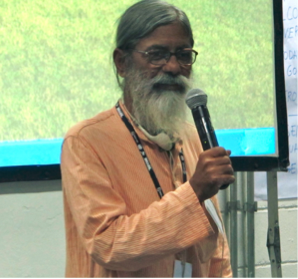 His presentation was followed by a short animated video on the subject that helped to set the scene for the panel presentations on the cultivation of medicinal plants: check out the video here. Sharing in the benefits of local natural capital is well illustrated by the Equator Prize winners working in medicinal plant cultivation and processing. Kangmei Institute works in the Upper Yangtze ecoregion of China, home to more than 25 rare medicinal plants; the Bedouin community of St. Catherine in the Sinai Peninsula, Egypt, is situated in an area of similar plant diversity; and the Pacari Network works in the Cerrado ecoregion of Brazil through community-based pharmacies to harvest more than 60 priority native species. Equator Prize winners and like-minded organizations demonstrate that conservation of rare and endangered wildlife species is more targeted and effective when it is led by local stakeholders. 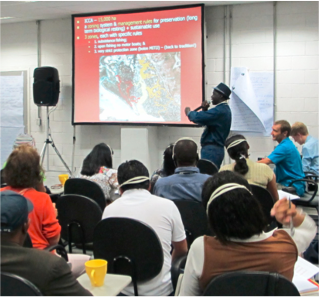 As Samson Parashina of MWCT, Kenya says, "communities are ambassadors of their own resources. They need to be leaders...If you have a tree next to your house, or if you have a lion next to your house, that is your resource. We are responsible for our own resources." This message is clearly demonstrated by prize winners from Kenya, Fiji, and Colombia, who presented during a discussion moderated by Randy Curtis of TNC. Confronting Climate Change Meet The Winners! The day opened with presentations from communities on the front lines of climate change, whose work directly confronts the challenges of unpredictable weather patterns, natural disasters, and rising sea levels. Representatives heard how the Abrha Weatsbha initiative in Ethiopia had transformed the agricultural productivity of a village to prevent its resettlement; how Asso- ciation Amsing has used a system of buried pipes to reduce the impacts of flooding for the moun- tain community of Elmoudaa, Morocco; and how the 500 residents of the 1.7-km2 Namdrik Atoll in the Marshall Islands have used sustainable land use planning to maintain their island existence. As part of our continuing series of interviews with Equator Prize 2012 winners, we introduce Samson Parashina of the Maasai Wilderness Conservation Trust (Kenya). His group preserves the wilderness, wildlife, and cultural heritage of the Amboseli-Tsavo ecosystem – an important migration corridor between two national parks. The organization of Maasai communities has mitigated unsustainable practices such as overgrazing and water-intensive farming and introduced alternative livelihood options, including ecotourism. Stories from Africa - from Liberia and Togo in the west, and Swaziland in the south - demonstrate the innovations that are helping to relieve pressures on fragile ecosystems. 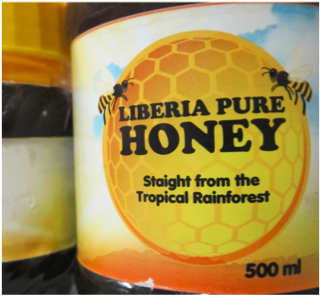 In Liberia, for example, bee-keeping, snail farming, and moringa cultivation allow farmers to generate up to USD 3,500 a year; in Togo, the community of Ando Kpomey has instituted regulations on harvesting non-timber forest products from its 100-hectare forest; while in Swaziland, women use the discarded seeds from marula fruits to produce oils for use in beauty products. Visit the Aldeia to learn more and to see the results! The Aldeia hosted Delfin Ganapin (Global Manager) and Prabhjot Sodhi (National Coordinator for India) of the UNDP/GEF Small Grants Programme. As it celebrates its 20th anniversary, SGP can reflect on two decades of providing urgently needed small grants to rural communities across the world. 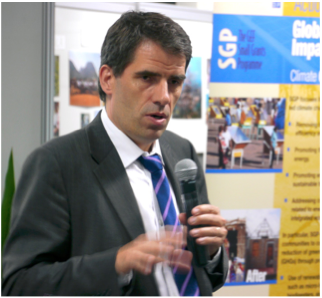 Since its launch following the Rio Earth Summit in 1992, SGP has invested some USD 634 million in support of 14,500 projects in more than 125 countries. Mr. Ganapin described how funding is tailored to those who most need it, and how a high level of national-level ownership has sustained its success over time. As part of our continuing series of interviews with Equator Prize 2012 winners, meet Allan Tipet Bero of the Tetepare Descendants’ Association (Solomon Islands). His group represents the 3,500 legal owners of Tetepare Island, the largest uninhabited island in the tropical Pacific and one of the last remaining unlogged tropical islands in the world. Conservation of their 120-km2 marine and land area has protected endangered sea turtle species, improved fish abundance, and stimulated a thriving ecotourism trade. 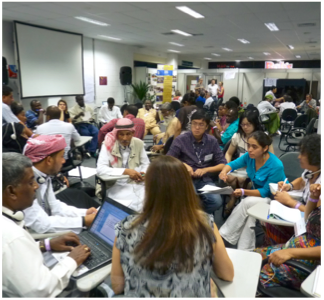 Meeting developing countries’ growing resource needs is a key issue in the Rio+20 deliberations and for sustainable development over the coming decades. 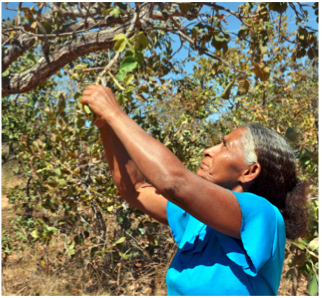 In the poorer countries of Central America, where these challenges represent a daily reality for rural communities, local organizations have developed innovative means of managing local resources. Water User Commit- tees, organic farming practices, and preservation of crop genetic diversity are underpinning more sustainable and equitable resource management. 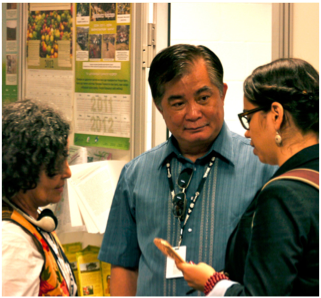 As the third and final Preparatory Committee Meeting draws to a close in Riocentro, the participants at the Community Aldeia continue to explore the themes of Rio+20 at the local level. 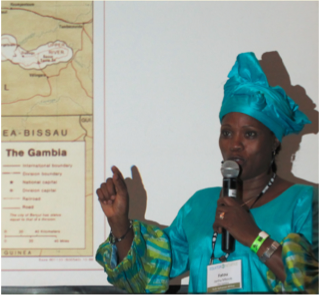 Presentations from Tajikistan, India, Sudan, the Gambia, and across Central America illuminated the dialogue, with the prominent role of women a common feature of the groups' work. 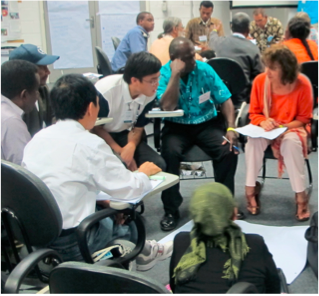 As we face the challenges of ensuring food, water, and land security for the world's poorest populations, the need for inclusive and participatory management strategies is heightened. As part of our continuing series of interviews with Equator Prize 2012 winners, meet Ezekiel Freeman of the West Africa Initiative of Liberia. He talks about his organization’s work in promoting apiculture, snail raising, and the planting of multi-purpose tree species to improve the livelihood options of unemployed rural farmers. Local farmers are provided with training in all three livelihood activities and provided with a starter kit containing beehives, snail cages, basic carpentry tools, and morning tree seedlings. From an initial starter kit, farmers generate an average of USD 3,500 per year. The relationship between women and house-hold food consumption is clear. 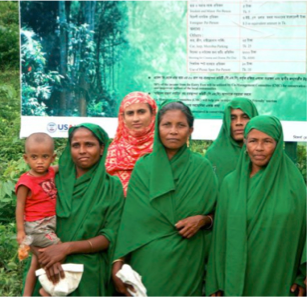 The experience of local organizations working to improve food security in the world’s poorest rural communities – such as the Equator Prize winners from Sudan, Tajikistan, the Gambia, and India – demonstrates that this also makes women de facto local resource managers. Empowering women to take leadership roles in sustainably using land and marine resources has had transformative effects in these rural communities, from the introduc- tion of organic farming techniques to regulations governing marine harvesting. The second day of the Community Aldeia was dedicated to Indigenous Peoples' and Community Conserved Areas and Territories (ICCAs) and their potential for empowering local resource users as owners and managers of their natural heritage. 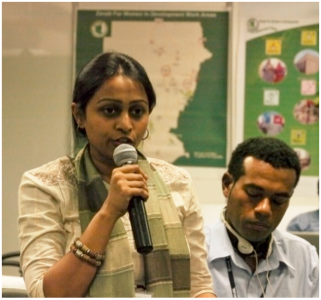 Prize-winning groups form Bangladesh (below), the Solomon Islands, Indonesia, Madagascar, and Senegal spoke about about their own work in conserving vitally important forest, marine and wildlife areas. The speakers emphasized the effectiveness of their efforts and the importance of retaining autonomy while working alongside governments in this sphere. The work of local practitioners in conservation is supported by many international actors, among them the ICCA Consortium. Grazia Borrini-Feyerabend, the consortium's global coordinator, presented on the role of ICCAs in protecting the world's 'bio-cultural diversity jewels'. The presentation emphasized the crucial link between communities and their local environment or territory, and stressed the importance of local land users being able to make decisions that lead to the preservation of nature. One tool for demarcating these areas and promoting their formal recognition is the ICCA Registry. Sean Southey from PCI Media Impact led the closing session of the day, which introduced the groups toparticipatory video storytelling. All participants were given video cameras and empowered to leverage the power of videos and images to convey their messages to the rest of the world. The group collectively reflected on those stories and films that have most deeply touched them, thinking of the key elements that made those films so powerful; participants began filming immediately, recording their experiences of Rio+20 for sharing with their own organizations, local communities, and global audiences. June 13th marked the opening of the Community Aldeia. Participants have travelled from as far as Madagascar, China, and the Solomon Islands for ten days of sharing experiences, learning from one another, and presenting their work on the international stage. The highlights of the Aldeia will be thematic panel discussions featuring Equator Prize winners, focusing on issues such as agriculture and food security, adapting to climate change, and sustainable fishing. The Aldeia culminated with the Equator Prize 2012 Award Ceremony, held downtown at Vivo Rio the evening of June 20. In the first of a series of short vignettes, we introduce Berta Alejandrina Cùmez García ofAsociacion de Mujeres Ixpiyakok (ADEMI), from Guatamala. 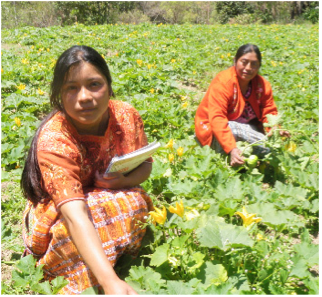 She talks about her organization's work with 30 groups of Maya women in Chimaltenango to improve local food security and nutrition through organic family farms and seed banks. The association provides guidance on organic farming techniques and promotes the cultivation of native species. 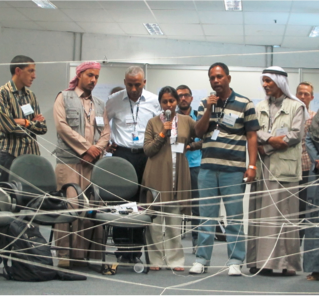 Training is also provided to 'community educators' on health, food security and nutrition. View the video below! To close the opening day of the Aldeia, participants discussed their hopes for beyond Rio, looking ahead to when they return to their home countries as Equator Prize winners. Representatives discussed the need to network with other communities, scaling up their approaches and impacts to reach a broader audience. The prize can be leveraged to reach national media and policy makers, bringing home the message that local voices need to be heard. 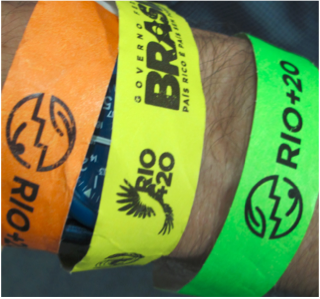 Over the next week and a half, these voices will reach those attending Rio+20 - we hope you’ll be able to join us and contribute to this unique space. What Is The Community Aldeia? Introducing The Winners... In Rio? Join Us! The Equator Prize 2012 was awarded to initiatives that are working to advance sustainable development solutions for people, nature and resilient communities. The twenty-five winners were selected from 812 nominations, received in thirteen languages from 113 countries world-wide. Each has faced their unique challenges by developing solutions suited to their respective landscapes, cultures and climates, including bio-diversity conservation, marine and coastal management, energy access and more; what they share in common is a testimony to the power of local action for transformative change. 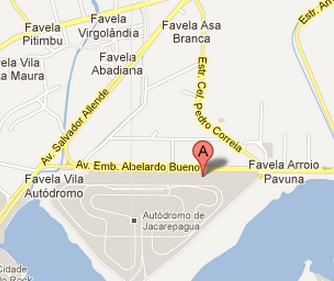 We are located in the HSBC Arena, a 15 minute shuttle ride from Riocentro. Click on the map below for furthur directions.